Mark Dommen is a unique talent who has spent more than 20 years in the kitchen. 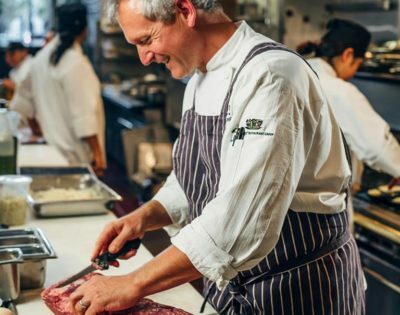 After years of classical training with some of the world’s most eminent culinary masters, Dommen’s move to head One Market® Restaurant in 2004 marked his exciting return to the San Francisco dining scene. His modern take on American cuisine earned the restaurant a Michelin star in 2008-2012 and a 3 ½ star review from San Francisco Chronicle critic Michael Bauer. Dommen was also named a 2007 StarChefs.com “Rising Star”. Outside the restaurant he actively participates in numerous charitable and community endeavors. Dommen describes his approach to cooking as “blending the freshest, seasonal ingredients from California, while using the classic French techniques I have honed from my previous experiences.” His seasonally changing menu includes inventive farm-fresh dishes such as Lightly Smoked Tasmanian Trout Mi Cuit with potato rösti, organic chicken egg and pancetta vinaigrette; Dungeness Crab with green apple water and jalapeño sorbet; and Bacon-Wrapped Pork Tenderloin with dandelion “persillade,” salsify and natural jus. ’Some of Dommen’s favorite dishes to make when not in the kitchen at One Market Restaurant include pizza and barbequed beer-can chicken cooked over apple wood chips. He lives in Napa with his wife and two daughters and enjoys skiing, golf and fishing in his spare time. 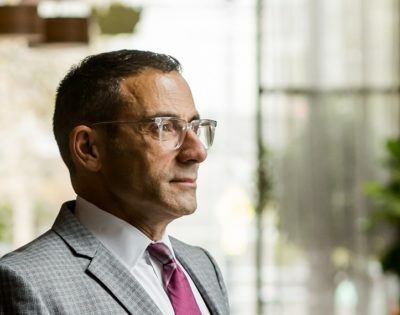 At One Market Restaurant in San Francisco, Lorenzo Bouchard works to ensure that the restaurant upholds its commitment to providing an unparalleled dining experience for its guests. Lorenzo got his first taste of the culinary world when he was waiting tables in college and became entranced by the bustling excitement and activity. He later worked as a waiter under Chef Dennis Foy at The Tarragon Tree in New Jersey and as a food runner then waiter and then manager under Chef Michael Roberts at Trumps (named after the wild cards in Bridge, not the current occupant of 1600 Pennsylvania Avenue) in Los Angeles. Lorenzo was the opening Manager of One Market in 1993 and served as General Manager/Partner from 2000 to 2008. After a two year Southern California sabbatical, he returned to One Market in March 2010. Bouchard’s civic involvement has included a stint as a Director of the Golden Gate Restaurant Association and his participation as a founding member of the Steuart Street Restaurant Row Association. He recently completed his second term as a member of the Board of Directors for San Francisco Travel. In his spare time, Lorenzo loves spending time with his spouse, Fred and their special needs rescue black Labrador Retriever, Jett at their home in Rancho Mirage, CA. Lorenzo is working as well on catching up on the family history he’s recently discovered via 23andMe. He met his paternal biological family in 2017 including his father who owned and operated a successful NY-based fruit and produce import business and is a master home-chef and a grandmother who was the first female chef admitted into a Manhattan chef’s labor organization. Clearly the apple didn’t fall far from the tree. Tonya Pitts has been in the food and beverage industry for over 20 years. Her career started in St. Louis, Missouri as a host during college. Tonya was very fortunate to be surrounded by nurturing food and wine professionals who realized that she had a palate. Tonya’s Fine Art studies relocated her to the Bay Area and a new chapter was born. Tonya’s first job in San Francisco was with Chef Judy Rodgers at Zuni Cafe and Chef Jeremiah Tower at Stars Restaurant as a server. Needless to say, Tonya only paints for fun now. After three years, Tonya was running the wine program for Loretta Keller at Bizou Restaurant. It was with Loretta Keller that Tonya realized her true passion for wine. 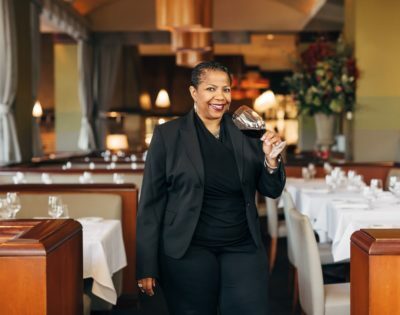 Tonya has worked in many notable houses in the Bay Area and has been featured in Wine & Spirits Magazine, Tasting Panel and numerous news and industry publications. She is also a judge for the San Francisco International Wine Competition and is a tasting panelist for Wine and Spirits Magazine. 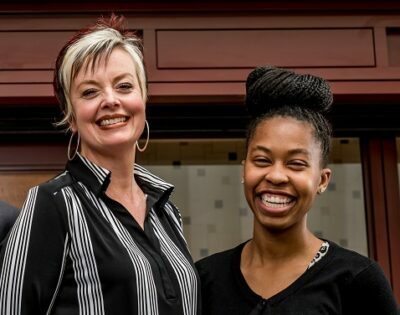 Tonya is currently pursuing wine studies with the Court of Master Sommeliers and continues to educate herself and others on the world of wine. 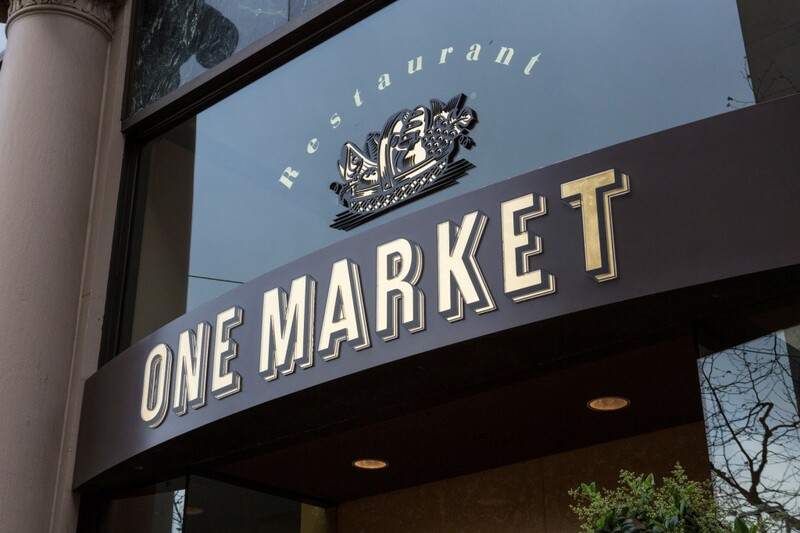 Created by Chef Bradley Ogden and restaurateur, and still Managing Partner, Michael Dellar in 1993, One Market Restaurant has become a standard for sophisticated dining in San Francisco. 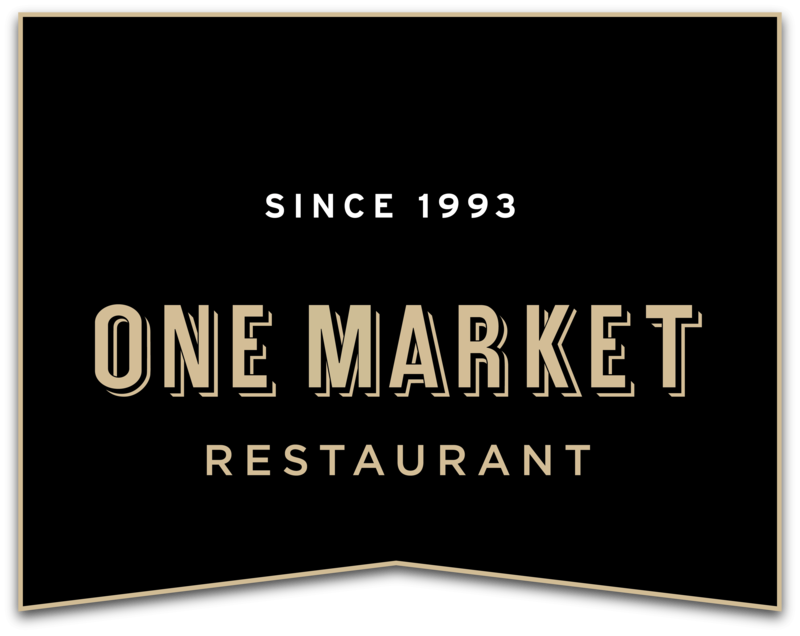 For the past 14 years One Market has offered the award winning farm-to-table cuisine of Chef/Partner Mark Dommen. The restaurant sports views of the Ferry Building, F-Line Trolley and Bay Bridge. Featured are an open exhibition kitchen with a special “Chef’s Table”, a wood-fired grill and rotisserie, several private dining rooms, a vibrant bar, and caring professional service directed by General Manager/Partner Lorenzo Bouchard. 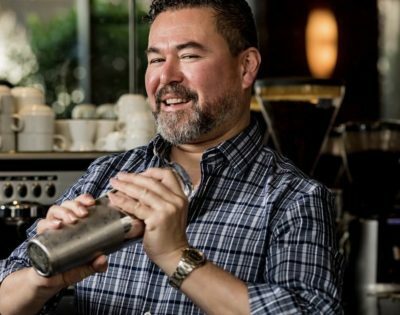 One Market also boasts one of the city’s most impressive wine lists curated by Sommelier and Wine Director Tonya Pitts and a stellar cocktail program from Bar Manager Oscar Davila.